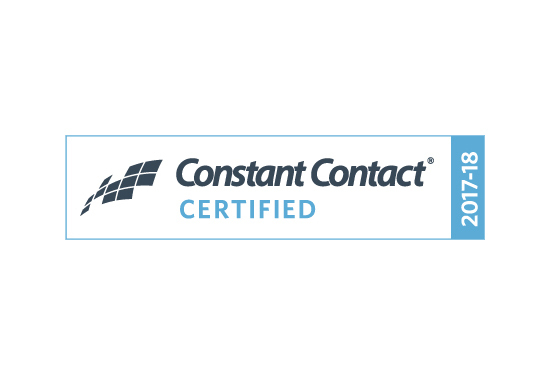 Sterling, VA – March 27, 2017 – Laura B. Poindexter of Queenb Creative has been named a Certified Solution Provider by Constant Contact®, Inc., part of the Endurance International Group’s (Nasdaq: EIGI) family of brands and the trusted marketing advisor to hundreds of thousands of small organizations worldwide. As a Certified Solution Provider, Poindexter has demonstrated in-depth knowledge of the Constant Contact email marketing platform and best practices. This ensures program participants and the clients they serve will realize meaningful results from their investments in email marketing. Queenb Creative gives business owners peace of mind that all available marketing tools are being utilized properly for their business. Expertly managing clients’ online presence, Queenb Creative makes social media work for bottom line results and executes creative approaches to audience engagement. Queenb Creative specializes in email marketing, social media marketing strategy and training, website development, and event engagement. Queenb Creative is a business marketing and graphic design firm in the Washington, D.C. metro area that opened in 2000. The firm gives business owners peace of mind that all the available electronic marketing tools are being utilized for their business. Expertly managing clients’ online presence, Queenb Creative makes social media work for bottom line results and executes creative approaches to audience engagement. Queenb Creative specializes in email marketing, social media marketing strategy and training, website development, and event engagement. The firm is led by Laura B. Poindexter, a reliable thought leader providing guidance through the changing Social Media environment. Through her public seminars she has helped thousands of small business owners learn about affordable marketing solutions. Find out more at www.queenbcreative.com. To learn about Laura’s speaking services or to read her blog, visit www.laurabcreative.com.